Gday. 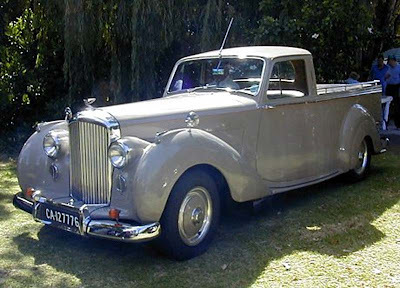 We have seen a 1950's Bentley S1 ute in South Australia here, and a gallery of 10 Silver Shadow utes from the 70's and 80's here, so how about this one. It is a 1948 Bentley Ute from South Africa. Its agricultural, but with handling.